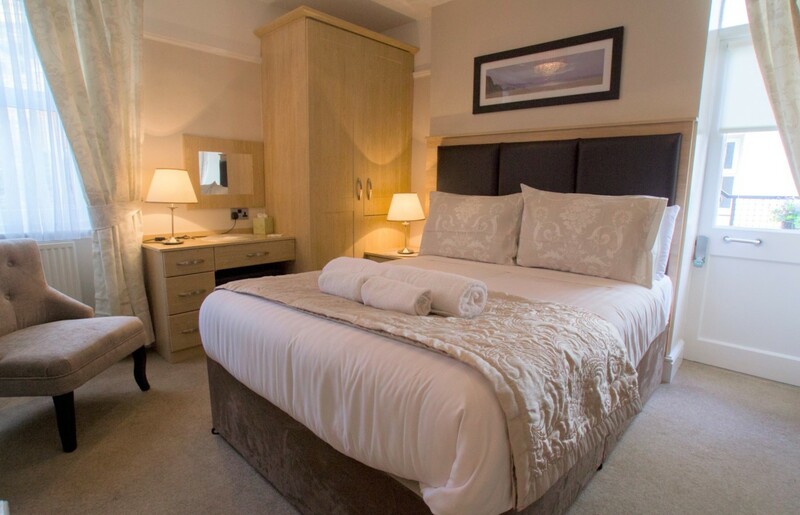 Spacious room with a large bay window and comfortable lounge chairs, overlooking the bay and promenade. includes mini-bar and tea/coffee facilities. 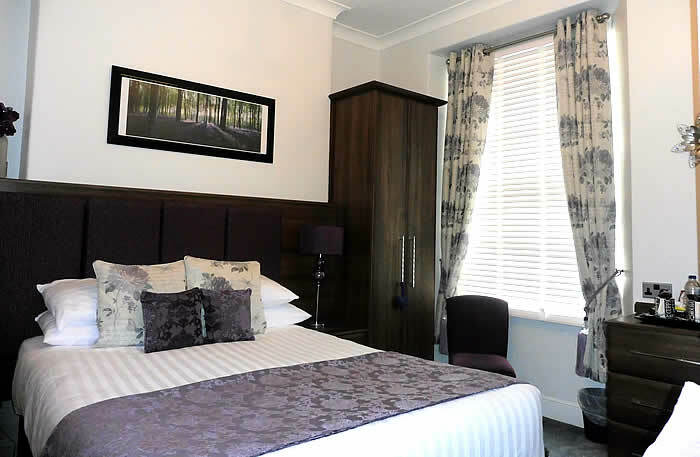 Spacious bedroom with large bay window, en-suite lounge, mini-bar and two TVs. 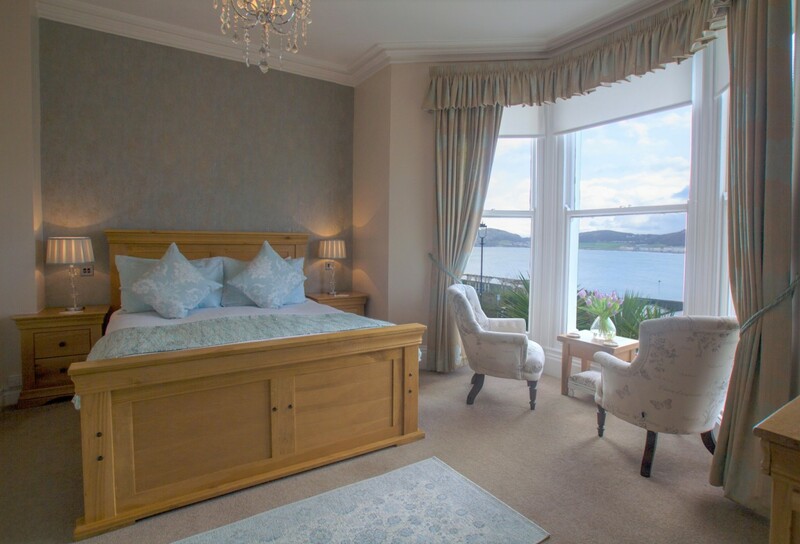 Both bedroom and lounge have spectacular views overlooking the bay and promenade. 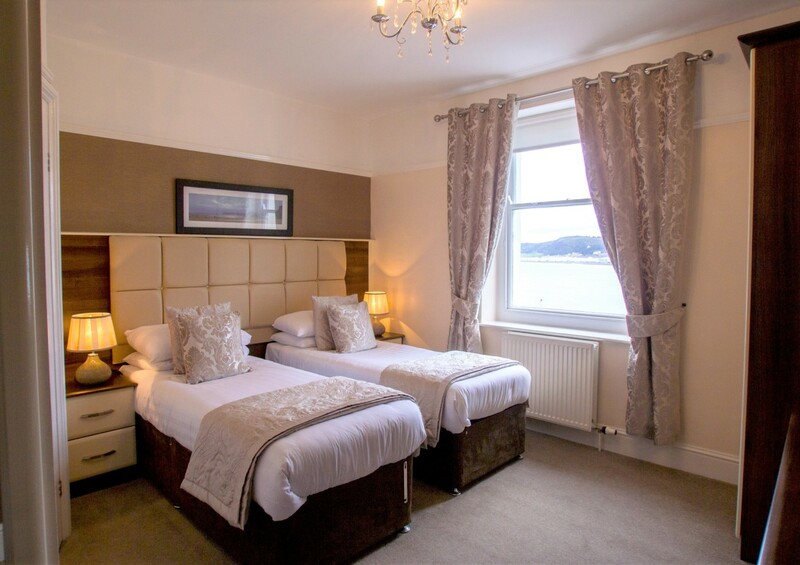 A spacious room well decorated offering a unique side view of the Llandudno Bay. 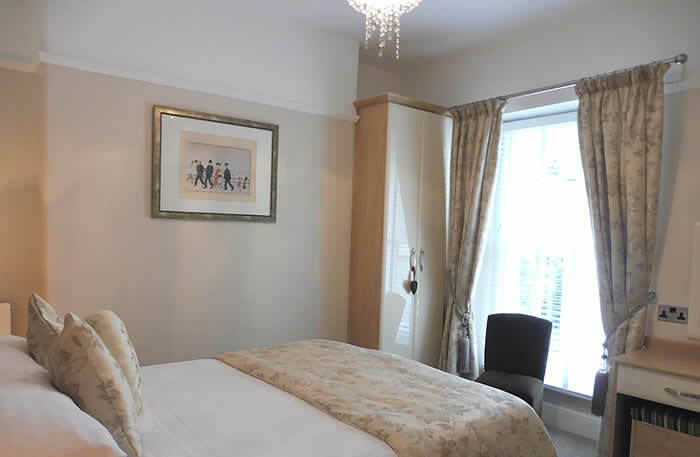 A beautifully decorated rear room with cosy atmosphere. Rear-facing nicely decorated room ideal for single occupancy. 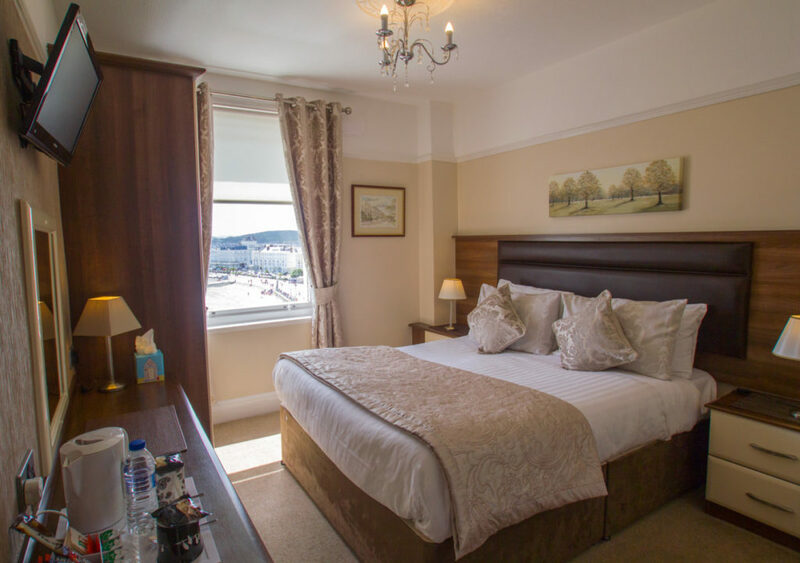 Spacious room with gorgeous views of the promenade and bay. 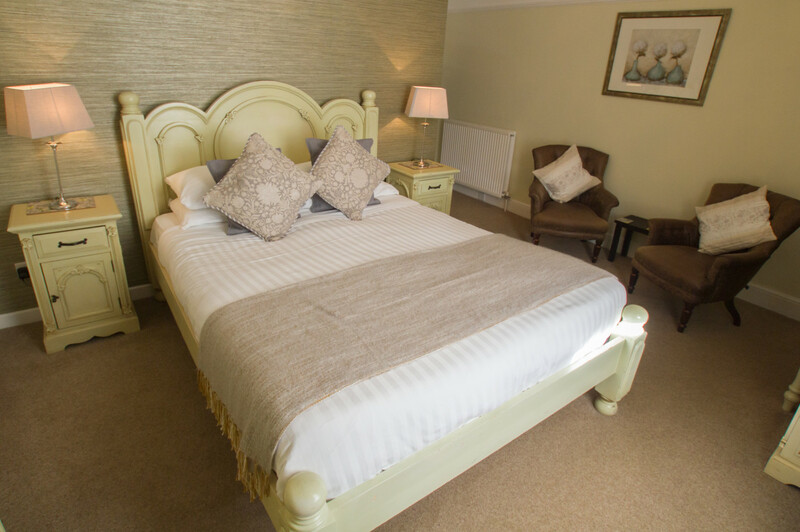 Intimate room on 2nd floor with stunning views of the promenade. 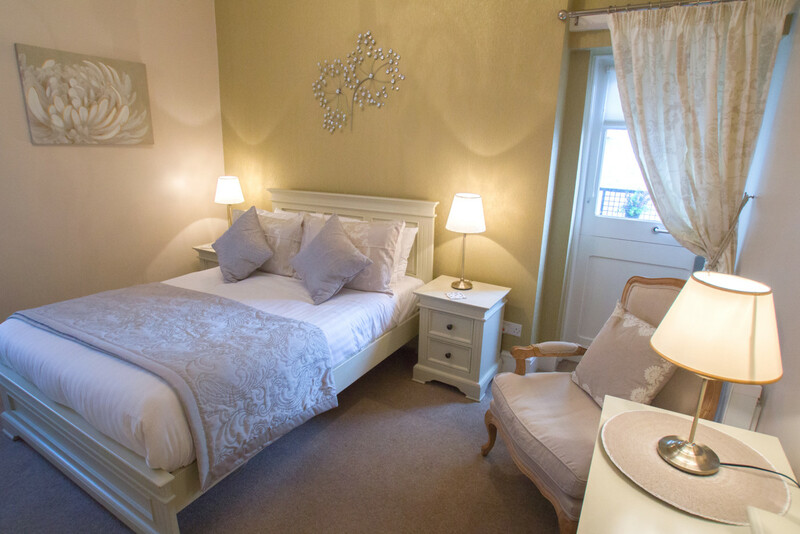 Ideal for either twin or double accommodation, overlooking the promenade. Well decorated spacious room on 2nd floor, with a unique side view of Llandudno Bay. 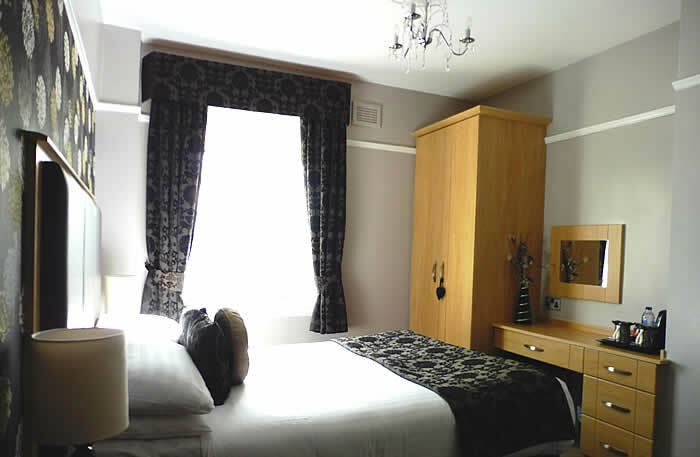 A rear-facing double room with cosy atmosphere. 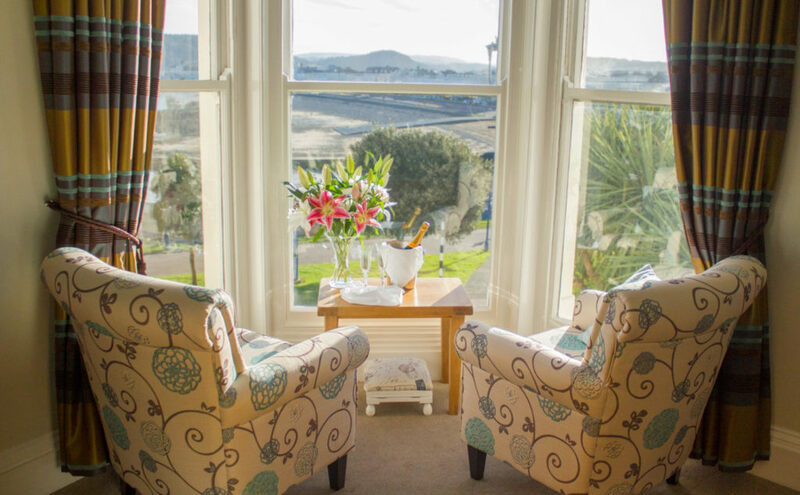 Located on the 3rd floor, an intimate room with lovely views overlooking the promenade and bay. 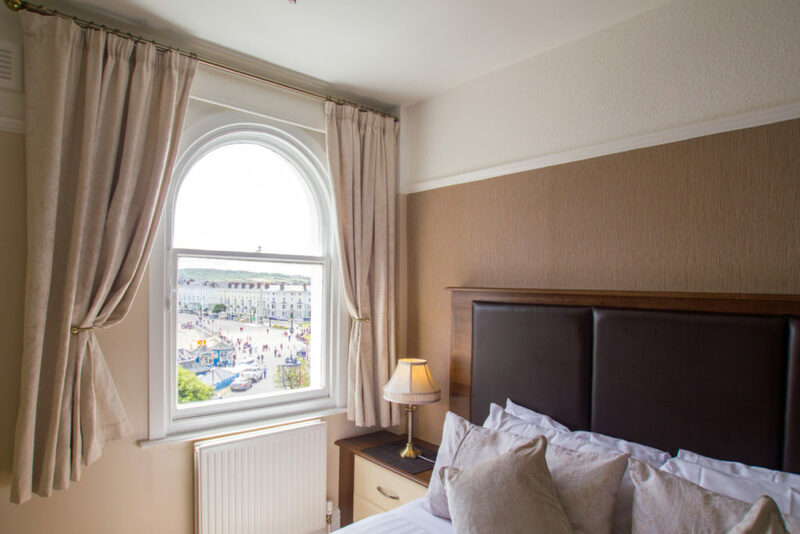 Well decorated room on the 3rd floor with beautiful views of the promenade and bay. 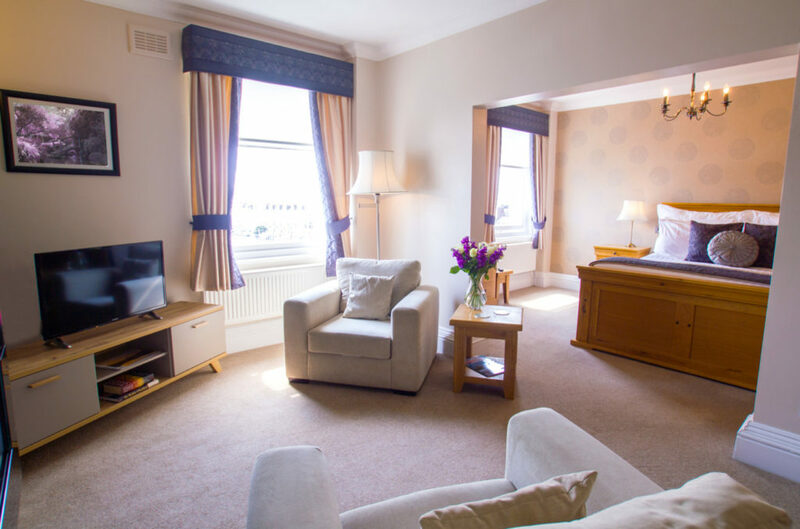 Located on the 3rd floor the suite offers extraordinary spacious facilities and comfort. 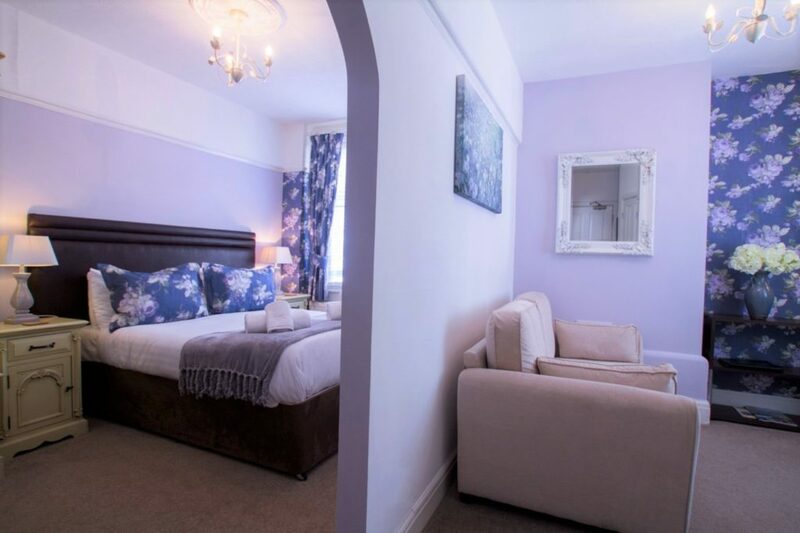 King bedroom with lovely views, comfortable TV lounge en-suite overlooking the promenade and Bay, with tea/coffee facilities, mini-bar, sperate bath/shower and toilet room, with VIP courtesies. 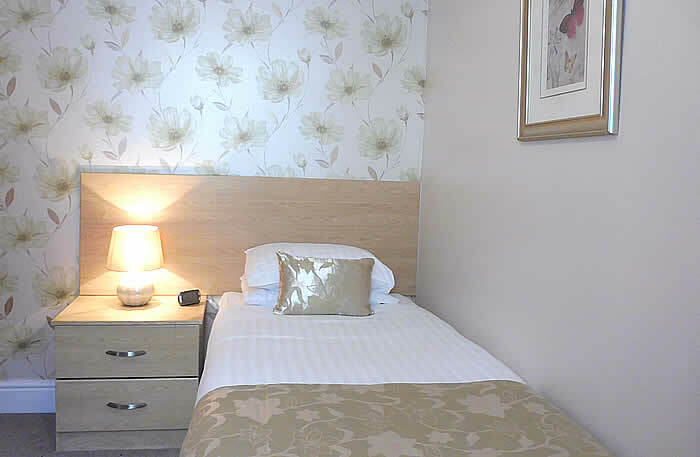 Rear-facing room ideal for double or twin accommodation with an en-suite lounge area.